Initiative supports worldwide “What Matters Day,” June 6. MHVC’s “What Matters” campaign was launched with a webinar by Dr. Gutnick. Link to the webinar here, and a video here. 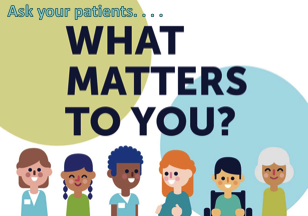 If you have examples of how asking “What Matters to You” has made a difference in a patient’s life or your practice, let us know at montefiorehvc@montefiore.org.